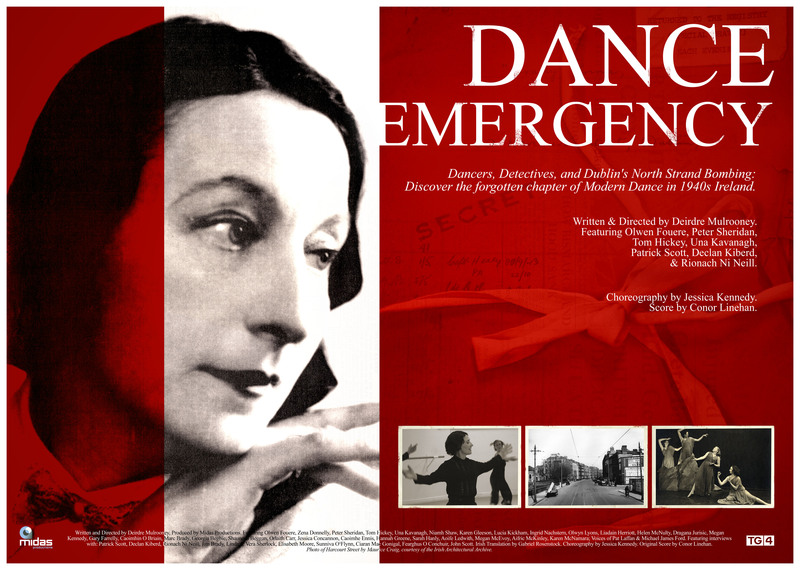 Deirdre Mulrooney | My doco Damhsa na hEigeandala/ Dance Emergency is on TG4 again tonight! 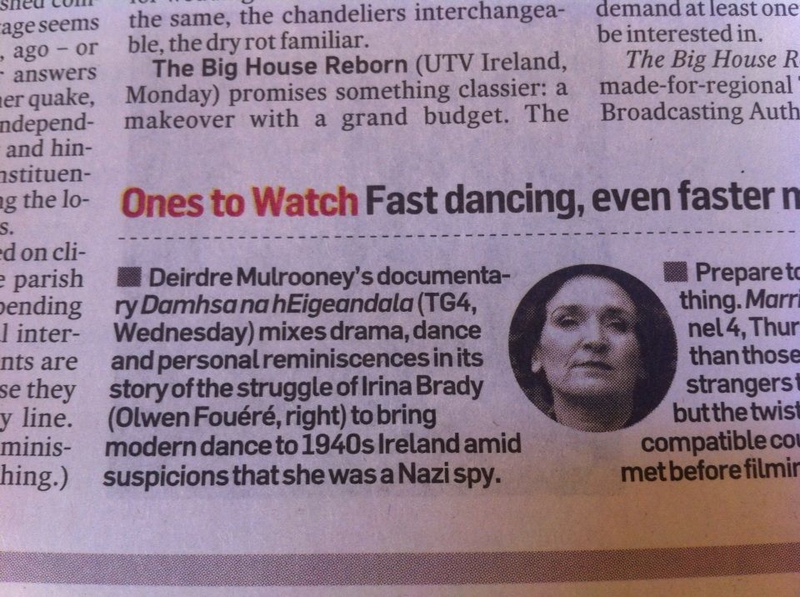 My doco Damhsa na hEigeandala/ Dance Emergency is on TG4 again tonight! Zena Donnelly, who plays young Erina being interviewed at Raidio na Life about her role as young Erina in Damhsa na hEigeandala. In seldom-seen 1940’s bohemian Dublin, mid suspicions of Nazi espionage, Damhsa na hEigeandala/ Dance Emergency recounts an Irish-German artist’s forgotten struggle to bring Modern Dance to a conservative Ireland that was not yet ready for it. 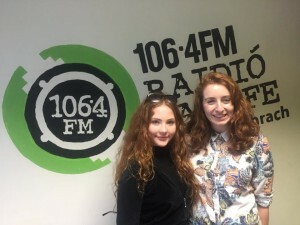 DANCE EMERGENCY premiered at the Galway Film Fleadh 2014, and featured at the Belgrade-Irish Festival 2015. So far this year, this overlooked chapter of Irish-German cultural history has fascinated German audiences. The script was translated to German, and published bilingually in TANZ Magazine (top European Contemporary Dance Magazine), in April 2015, as well as on the Goethe Institute website. Writer and director Deirdre Mulrooney has also contributed a biographical essay on Erina Brady to “Selected Irish-German Biographies” Trier: WVT, 2015. 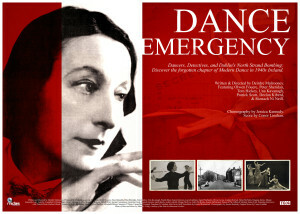 DAMHSA na hEIGEANDALA/ DANCE EMERGENCY screens on TG4 again tonight! July 8th, 2015, at 9.30pm.